Another thank you letter ……. 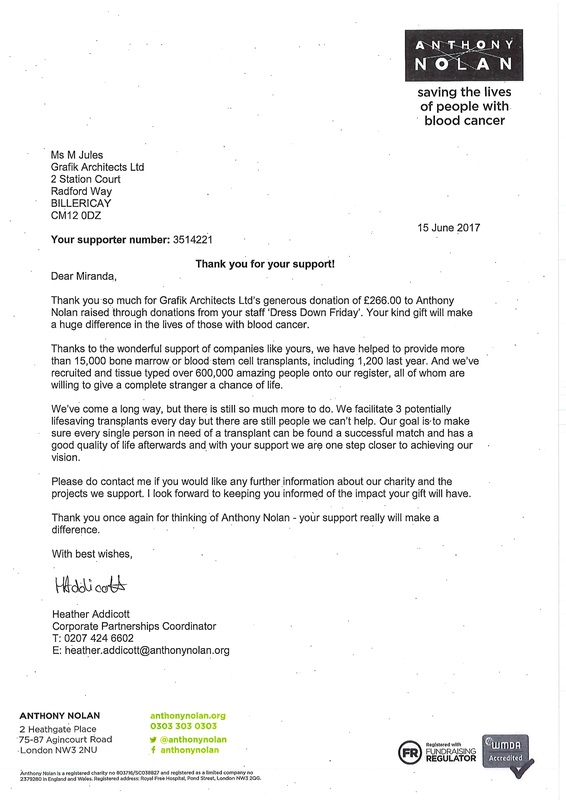 We are delighted to have given our support and donated £266 to this wonderful cause, Anthony Nolan. 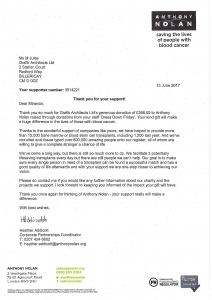 Every day Anthony Nolan match individuals willing to donate their blood stem cells or bone marrow to people with blood cancer and blood disorders who desperately need lifesaving transplants. They conduct world class research into stem cell matching and transplants so they can make sure every person in need gets the best possible treatment.